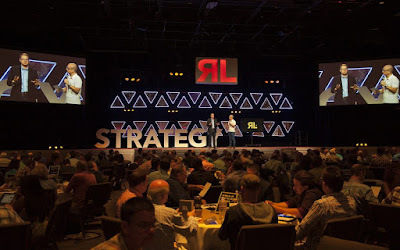 Last week I had the privilege to attend Rethink Leadership a conference organised by Carey Nieuwhof. Carey is the Lead Pastor of Connexus Church– which is a multi-campus church near Toronto. You can read his thoughts on Christian leadership at his blog. The following are a few quotes from his opening session on strategy. Solitude is a gift from God. Isolation is from the enemy. The vision of the church was handed to us by Jesus. We can’t come up with our own vision. You don’t have a ministry problem. You have a strategy problem. Vision often falls flat if there is no Strategy. Ambiguity never provokes fear. Clarity does. Strategy is the execution of your mission and vision. Strategy becomes divisive because it is clear. Clear strategy initially divides before it unites. What initially pushes people away eventually creates unity. The clearer you are on your strategy, the simpler it is, the more it is written down, the easier it is. The more a church grows the more complicated it gets. If you’re going to stay current, you’re going to have to reinvent your strategy. It’s easy to change something someone else has built. It’s much more difficult to change something you have built. Strategic is the key to attracting young leaders. Yesterday’s ideas never attract tomorrow’s leaders.